Today our Little Dervish is telling us the story of Daoud (a). Daoud (a) was able to put divine love into music and the animals would gather around him to hear his voice. If you would like to read more about the life of Prophet Daoud (a) there is a chapter concerning his story in My Little Lore of Light by Hajjah Amina Adil. 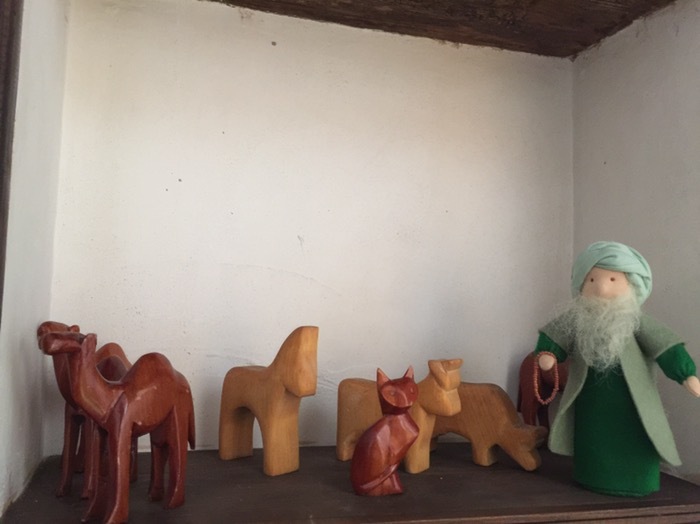 Please share your ideas for using creative play to learn about the lives of the Prophets.